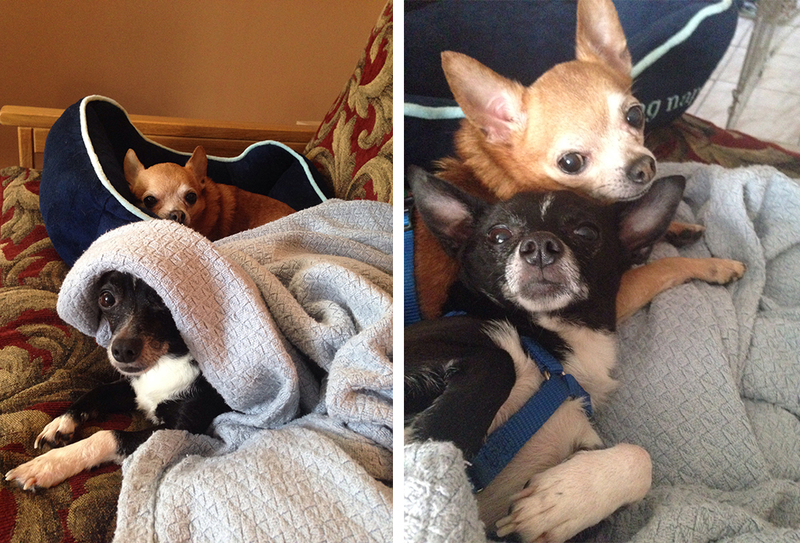 Chihuahuas Corrio and Bruno had been through a lot together by the time they arrived at the ASPCA. Ages 5 and 10, respectively, the petite pups lived through pet stores, medical issues and multiple owners—but through it all, they remained by each other’s side. We were eager to find Corrio and Bruno a home where they could stay together, and fortunately, it wasn’t long before we did just that. Here is their story. Way back in 2008, Bruno arrived at the ASPCA Adoption Center for the very first time. He had been purchased from a breeder, but his owner was forced to surrender him due to housing issues. Bruno was quickly adopted, and we didn’t see him again until June of 2015. After seven years together, his adopter was no longer able to provide Bruno with proper care, and her daughter-in-law returned him to the ASPCA. We were sad to see Bruno come back, but his return also brought with it another surprise: Corrio. 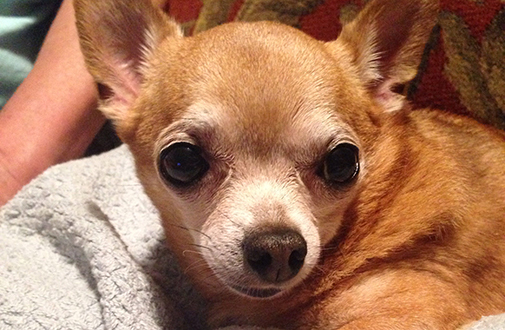 His owner had purchased Corrio from a pet store three years after adopting Bruno, and the tiny Chihuahuas had become fast friends. The owner emphasized that the two pups had to stay together. After taking in both dogs, we got to know their distinct personalities a bit more. Corrio, the younger of the two, was very loyal to his friends but suffered from severe anxiety issues. 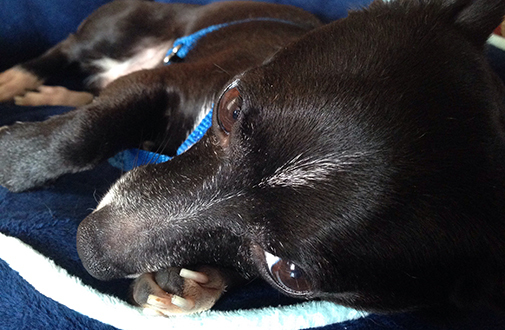 Sweet senior Bruno was a real snuggler and, after having some teeth extracted, he wanted nothing more than to relax and snooze the day away. Our biggest hope was that he would find a nice home where he could live out his “golden years” with Corrio by his side, and that’s why we were so thrilled when Jessica M. of the Bronx, New York, walked through our door. Jessica came to the ASPCA Adoption Center after a long search for the perfect pet. “I had looked at more than a hundred adoptable dogs, but the moment I saw Bruno and Corrio, I cancelled what I was doing that day, ran right over to the Adoption Center and waited until it opened so I wouldn’t miss them!” she recalled. And her persistence paid off—despite some initial barking, the two dogs quickly warmed up to Jessica when she gave them some treats. After all Bruno had been through, spending his final days in a warm, loving home—with Corrio by his side—was surely a blessing. What’s more, Jessica adds, “Since Bruno passed, Corrio has grown in his confidence, which would not have been possible if Bruno had not been there for him.” He is overcoming his anxiety one step at a time, and we could not be happier for his success. Corrio has seen a lot in his five years, but we know that his next five years—and beyond—will be nothing but joyous and full of love. Thank you to Jessica for opening your heart and home to these sweet dogs!